Collaborative filtering (CF) is a technique commonly used for personalized recommendation and Web service quality-of-service (QoS) prediction. However, CF is vulnerable to shilling attackers who inject fake user profiles into the system. In this paper, we first present the shilling attack problem on CF-based QoS recommender systems for Web services. 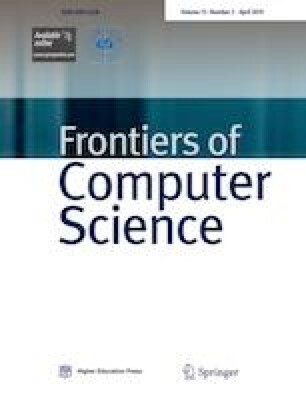 Then, a robust CF recommendation approach is proposed from a user similarity perspective to enhance the resistance of the recommender systems to the shilling attack. In the approach, the generally used similarity measures are analyzed, and the DegSim (the degree of similarities with top k neighbors) with those measures is selected for grouping and weighting the users. Then, the weights are used to calculate the service similarities/differences and predictions.We analyzed and evaluated our algorithms using WS-DREAM and Movielens datasets. The experimental results demonstrate that shilling attacks influence the prediction of QoS values, and our proposed features and algorithms achieve a higher degree of robustness against shilling attacks than the typical CF algorithms. Min Gao received her MS and PhD degrees in computer science from Chongqing University (CQU), China in 2005 and 2010, respectively. She is now an associate professor at the School of Software Engineering, CQU. She was a visiting researcher at the School of Business, University of Reading, UK. Her research interests include recommendation system, service computing, and data mining. She has published over 30 refereed journal and conference papers in these areas. She is a member of the IEEE and CCF. Bin Ling received the BE, MS and MR. degrees from Staffordshire University, UK in 1995, 1998, and 1999, respectively. He was formerly a research fellow at School of Computer Science, University of St Andrews, UK from 2000 to 2006, and at School of Business, University of Reading, UK from 2006 to 2010. He is currently working on a project at School of Engineering, University of Portsmouth, UK. His research interests include information sharing, project management, and recommendation system. Linda Yang received her PhD degree in computer science from Peking University, China in 1999, and her MS and BE degrees in computer software in 1996 and 1993, respectively. She has been a senior lecturer at University of Portsmouth, UK since 2004. Prior to that, she was a lecturer at the Robert Gordon University, a senior research fellow at University of St Andrews and Cardiff University, UK. Her research interests include information retrieval, recommendation system, data mining as well as their applications in social networks, health-informatics and business. She has worked on UK and European funded research projects since 1999 and published over 50 papers in refereed journals and conferences. She is a member of the IET, WES and HEA. Junhao Wen received the PhD degree from the Chongqing University (CQU), China in 2008. He is a professor and the vice dean of the School of Software Engineering, CQU. His research interests include service computing, cloud computing, and software dependable engineering. He has published more than 80 refereed journal and conference papers in these areas. He has more than 30 research and industrial projects and developed many commercial systems and software tools. Qingyu Xiong is the dean of the School of Software Engineering, Chongqing University (CQU), China. He received the BS and MS degrees from the School of Automation, CQU in 1986 and 1991, respectively, and the PhD degree from Kyushu University, Japan in 2002. His research interests include neural networks and their applications. He has published more than 100 journal and conference papers in these areas. Moreover, he has more than 20 research and applied grants. Shun Li is a PhD student at the School of Software Engineering, Chongqing University (CQU), China. He received his BE degree from CQU in 2014. His research interests include service computing, recommendation system, and machine learning. Supplementary material is available for this article at https://doi.org/10.1007/s11704-017-6566-y and is accessible for authorized users. This research is supported by the Basic and Advanced Research Projects in Chongqing (cstc2015jcyjA40049), the National Natural Science Foundation of China (Grant No. 71102065), the Fundamental Research Funds for the Central Universities (106112014 CDJZR 095502), and the China Scholarship Council. Supplementary material, approximately 307 KB.